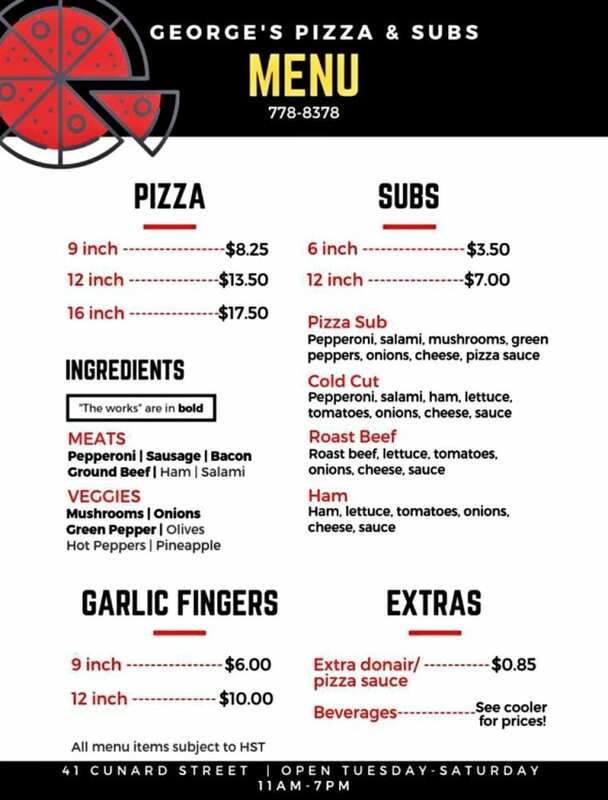 George’s Pizza & Subs is moving to a new location and also introducing a newly designed menu to serve you better!! 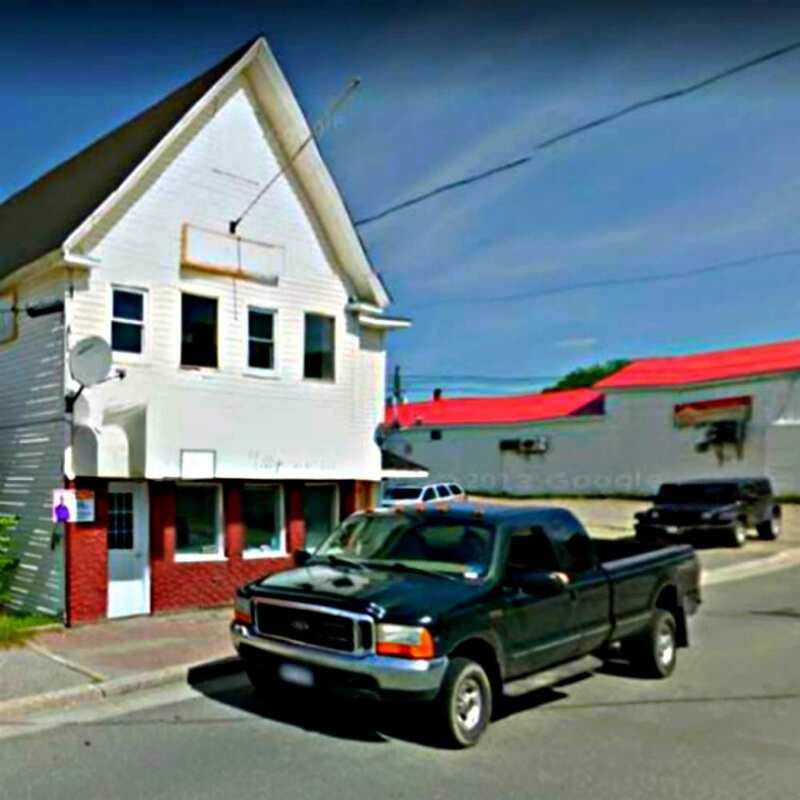 They are moving from their present location at 33 Johnson Avenue to 41 Cunard Street (former Hollywood Hair Location) in Chatham – Miramichi East. 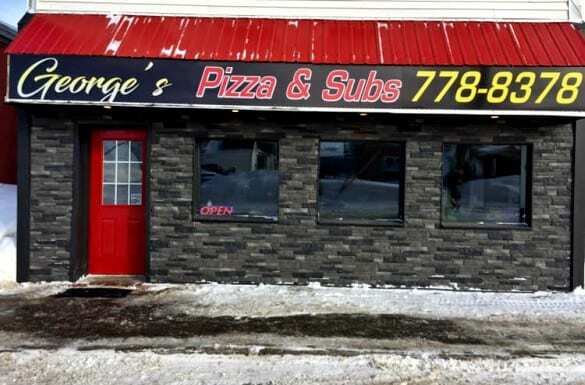 Their hours remain unchanged and are are open 5 days a week to serve you – Tuesday to Saturday from 11:00 am to 7:00 pm. So looking for that quick lunch or a supper? 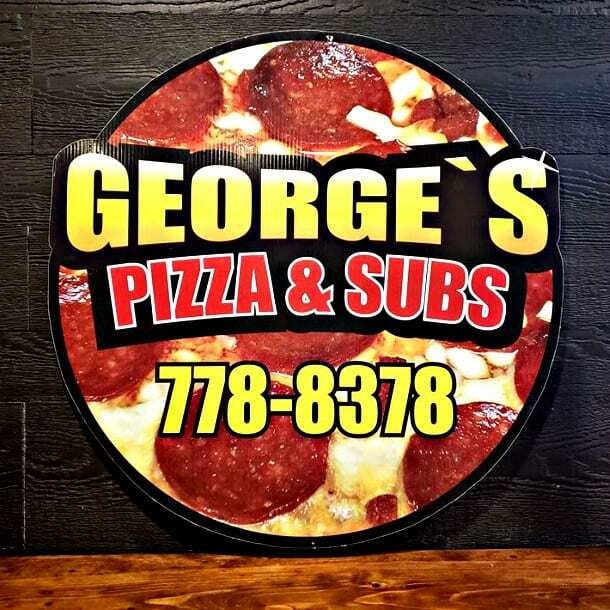 Why not try George’s Pizza & Subs! !